Driver Doc - Update Your Obsolete Drivers and Speed Up Your PC! 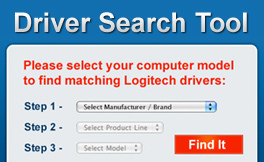 DriverDoc software is designed to quickly locate the latest drivers specific to your PC through its access to an extensive database of 16,000,000+ drivers. Get started by downloading* now! Fixes Driver Problems - FAST! Get support for over 16,000,000 drivers inside DriverDoc. Call us for Live Driver Tech Support included in your driver update software. Click here for your driver scan and get help today!